Hi everyone. 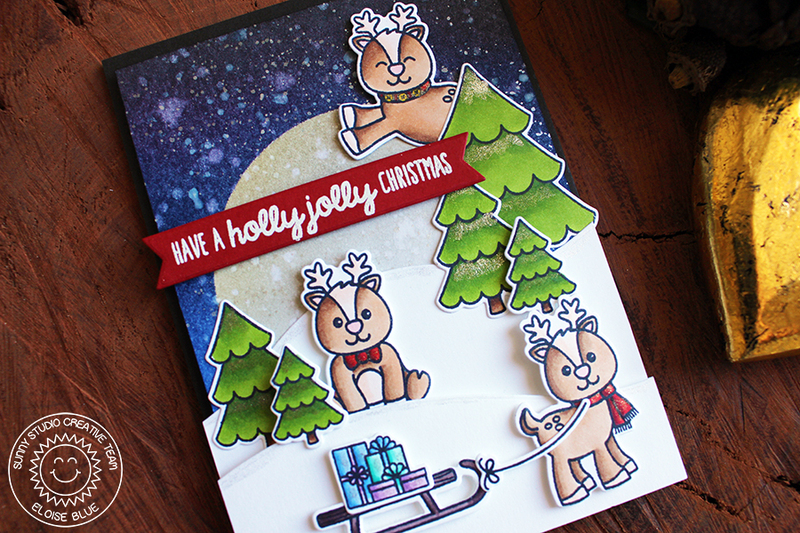 I'm up on the Sunny Studio blog today featuring the super cute Gleeful Reindeer set. I have create a night time moonlight scene, with Distress Inks - it was so much fun to create!